Last year, spearheaded by a group of students who survived one of the world’s deadliest school massacres on Feb. 14, thousands of youth around the globe, along with supporters, took to the streets to protest gun violence. Building Better Communities organized the Columbia, SC Rally in line with the rest of the nation. Most notably was a march in Washington, D.C., where bus loads of students poured in from across the country, including those from Marjory Stoneman Douglas High School, in Parkland, Fla., the site of the Valentine’s Day massacre of 14 students and three staff members. A year later, the M4OL Movement has accomplished so much with legislation to improve Gun Laws in America. 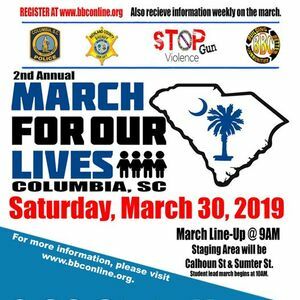 In SC, The Faith Coalition On Gun Violence, Building Better Communities, The SC Academy of Pediatricians, The Brady Campaign and hundreds of other South Carolinians formed the Coalition Against Gun Violence in support of Rep. Wendy Brawley's bills H3109 and H3206. 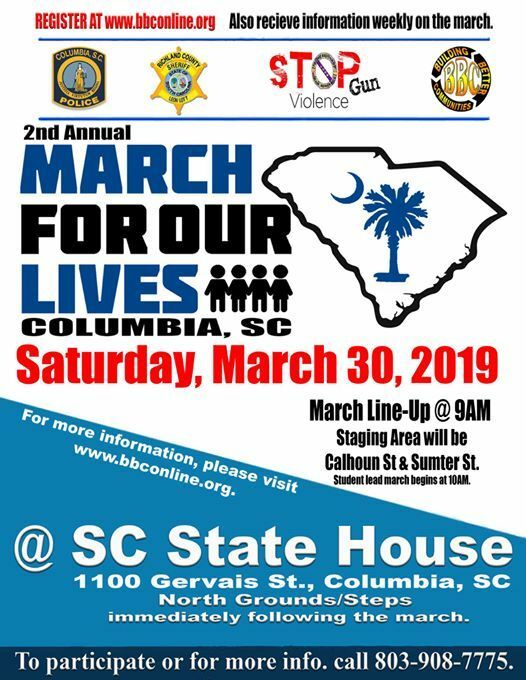 In 2019 we are keeping the M4OL Movement going with an organized Rally scheduled for the SC State House. We are asking for everyone's support. Please visit www.bbconline.org for additional information. Or call 803-908-7775.